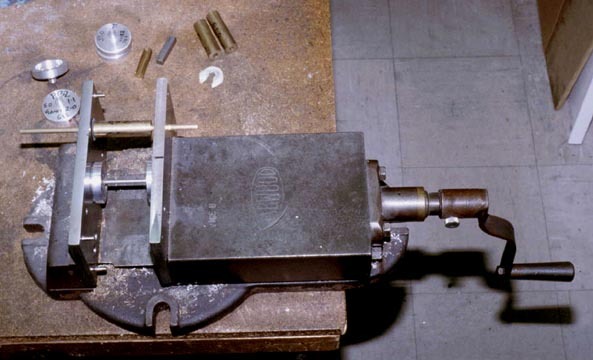 To align the crank pins at 90° to each other, the crank pins can reach through the large holes in the press discs to slots in the face plates. The slot in one face plate is vertical, in the other it is horizontal to the centre. 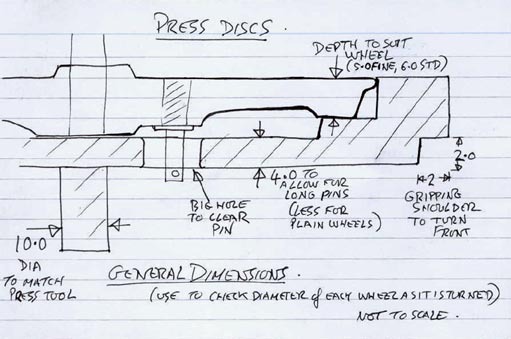 Scan of my workshop job card for making press discs.